10. 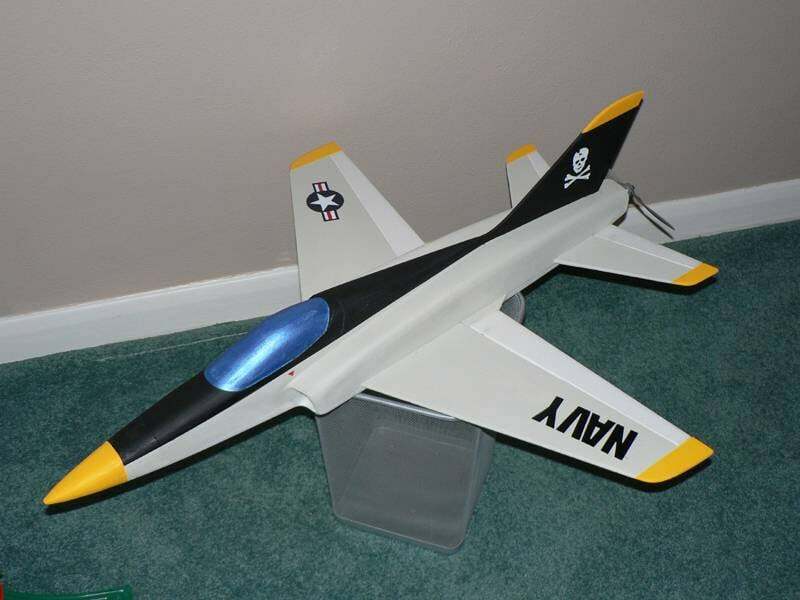 F-14 by MDC: If you want a simple profile F-14 that has functional swing wings, the F-14 my MDC is the place to start. You can build this model up in one day and take it to the park the next, all because the design uses all 6mm depron foam to create the swing wing. 9. Chiggy by Robertus: The Chiggy has to be one of the most unique designs out there for a park jet. Utilizing a tri-wing design, topped with a tractor motor and crazy aggressive bomb styling, the Chiggy will have the guys at the flying field wondering if have gone crazy. 8. Super Bandit by Steve Shumate: The Super Bandit is a design of a plane that actually doesn’t exist, but it sure looks like it should. Featuring simple wing designs, multiple sizes to fit your EDF and pusher needs, the Super Bandit is a Parkjets favorite. 7. Hot Spot by Domenico Sebastiani: The Hot Spot is a very familiar design. It features an awesome delta wing, twin tail booms and an aerodynamic fuselage. The Hot Spot is made to fly. 6. Hydro: The Hydro continues to be a very popular design and for good reason. It’s got the chops to go on water and then rise up above the waves and surprise everyone. Available for EDF or prop, the Hydro is just cool. 5. F-15 by Jamie Rothwell: This design has been popular from the minute we posted it. Easy score and fold design plus the look of the iconic F-15 all rolled into one. Available in a few different sizes makes this a winner. 4. Mermaid by Marcel du Plessis: The Mermaid is good to go on land or sea and gives you a rock solid design that can handle nice and easy park flight like a champ. Elevated motor and electronic gear mean the goods stay dry while you land at your local watering hole. 3. YF-23 by Craig Clarkstone: The Grey Ghost is one of the best looking designs of all time and this design captures the lines perfectly. The YF-23 is not a build it quick and go design, but the end result will have your flying friends wondering if you are a magician with foam! 2. SU-37 by Jamie Rothwell: Like the F-15 above, the SU-37 is dead simple to design and gives you a little Russian flavor. The SU-37 is graceful and frightening at the same time. 1. F-22 by Steve Shumate: Once again, the Raptor comes out on top. With its cousin the YF-23 in your hanger, you can manage the best looking fleet on the block. That's a wrap! Remember, if you know of a great design, shoot us an E-mail and let us know about it so we can get it posted.